Twenty years after carrying its first craft brew at a single Kalamazoo store, Meijer is selling nearly 35 locally-brewed craft beers each minute in Michigan while continuing to add up-and-coming local breweries to an extensive selection that rivals specialty stores across the Midwest. Meijer says it expects to continue five years of double-digit volume growth in craft beer sales and plans to sell more than $90 million in craft beer in 2016, including $30 million in local and hyper-local craft beers produced by breweries in Michigan. Building on the popularity of local breweries that account for 44 percent of all craft beer sold in Michigan, Meijer will carry IPAs, Amber Ales, Stouts, and Porters from 50 Michigan breweries and also expand the reach of six of the most popular local brands in the state at stores across its Midwestern footprint this year. “What’s happening here in Michigan is a microcosm of what’s happening throughout the Midwest and across the country – the state of craft beer is thriving,” says Peter Whitsett, executive vice president of merchandising and marketing. He says since 2010 the number of craft breweries Meijer carries and the space it provides for its selection has more than doubled. The six breweries that will be featured in Michigan, Ohio, Indiana, Illinois, Kentucky and Wisconsin in 2016 include Bell’s Brewery, Founders Brewing Co., Short’s Brewing Co., New Holland Brewing Co., Atwater Brewery, and Arcadia Brewing Co.
Whitsett says Meijer customers can expect to see craft ciders, hard soda-flavored beers and distilled craft spirits to increase in popularity this year and that brewers will be aggressive with new innovations in barrel-aged brewing and techniques to improve consistency in each bottle or can of their brews. 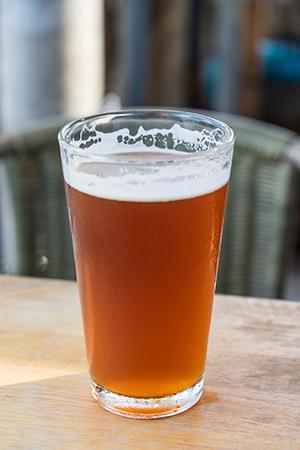 Whitsett also believes the popularity of hyper-localized breweries will continue to gain traction and Michigan breweries like Perrin Brewing Company, Brewery Vivant, Dark Horse Brewery and Griffin Claw Brewing Company will continue attracting craft beer enthusiasts.